But when you can hold both- Bitcoin & Gold? That’s when you can preserve your wealth !! Well, then let me explain you with a set of questions. Do you want to preserve your wealth? Are you ignoring Bitcoin and Gold? 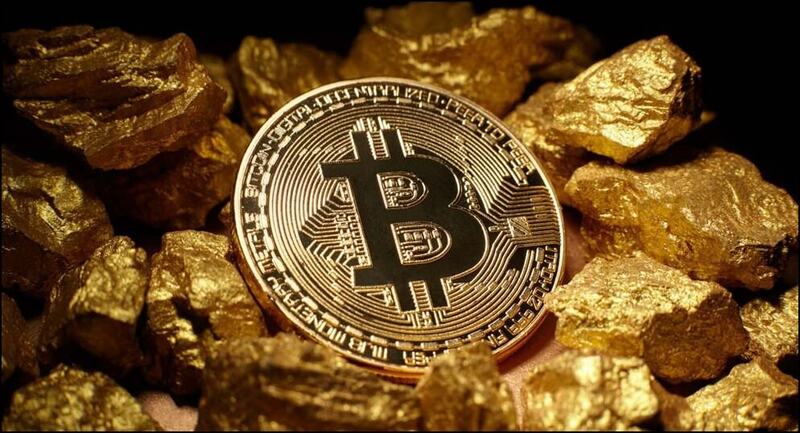 Do you own any of these-Bitcoin or Gold? All I want to say is if you don’t own one of these, Bitcoin or Gold and what to build/preserve your wealth then you should not discard either of these. But it’s a no-brainer to discard gold. It is absurd for baby-boomers to write-off Bitcoin. So, for now, I will leave baby boomers with this guide on investing in Bitcoin. On the other hand, the millennials reading this should just make up their mind to hold some gold also because gold has enjoyed the status quo of sound money from 1000s of years. So don’t get left behind and trade some of your BTCs for gold. Wondering !! How to do that? Bitcoin and Gold both are an excellent hedge against inflation but we also know that Bitcoin is volatile. That’s why buying some gold in your portfolio for BTC is a good way of enjoying the stability of gold powered by the agility of Bitcoin. Vaultoro does this for you. 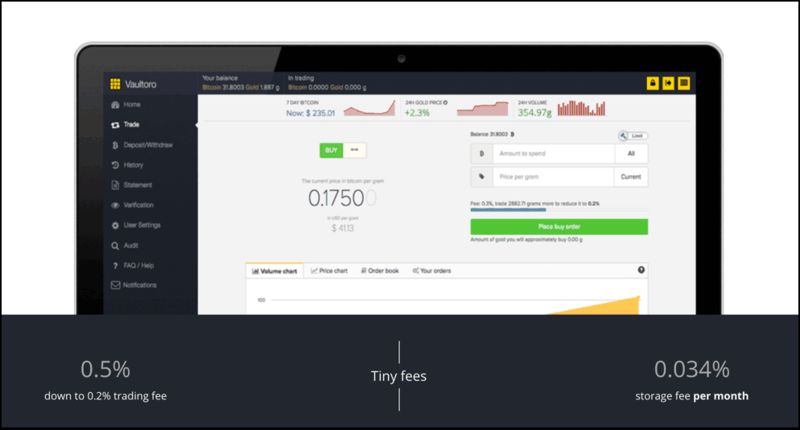 Vaultoro is the first #bitcoin allocated #gold order book exchange. Audited, insured & public proof of over 100% reserve using the #blockchain. 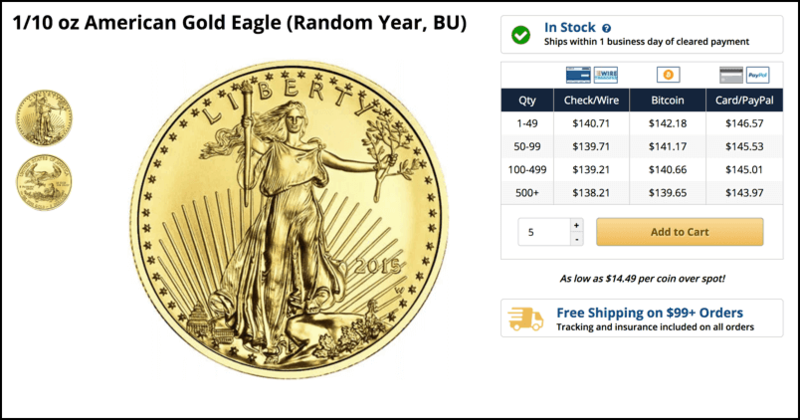 You get the option of withdrawal where you get you real physical gold in your possession or can sell it again for BTC. Get Swiss grade security for your physical gold. Of course, this all attracts a fee but believe me it is nominal. Step #1. 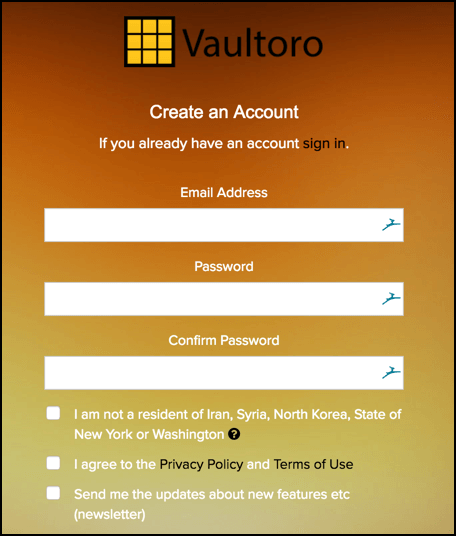 Go to Vaultoro.com and sign-up to create an account. You will be required to use your email and set a password here. Step#3. Upon clicking ‘Continue,’ you will be taken to Vaultoro exchange page where you should click here and get your account verified. Step#4. 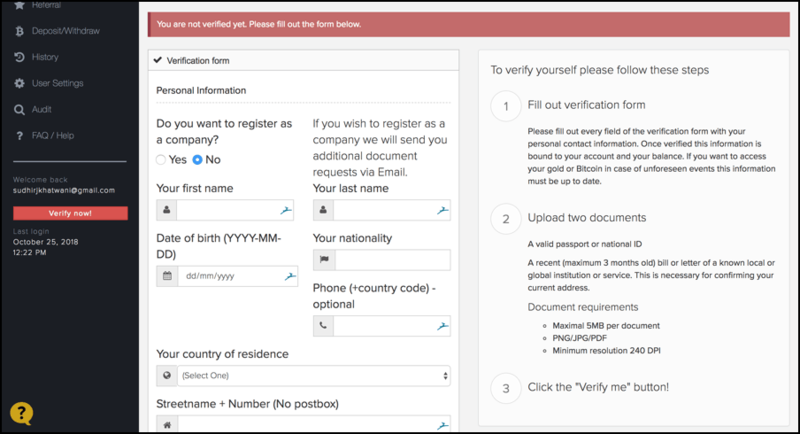 Upon clicking on ‘here’ as shown in the above image you will be taken to fill a simple KYC form. Fill this form and upload relevant documents to get yourself verified ASAP. Step#5. And once you have verified your account, you can deposit BTC in Vaultoro account to buy/trade for gold. 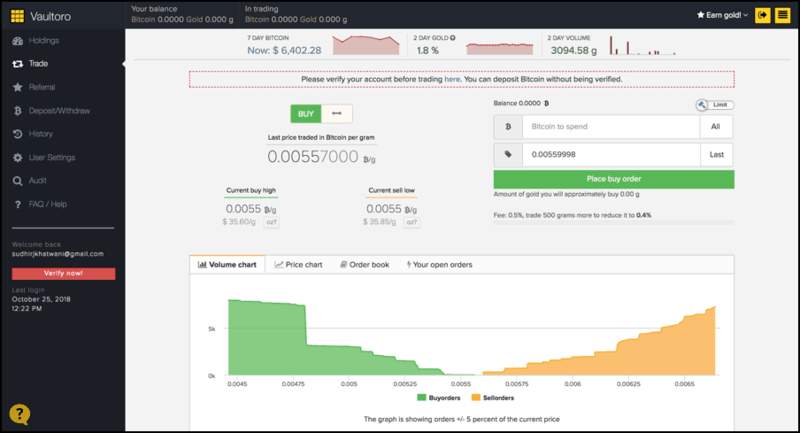 So you see, this is how you can buy/sell gold for BTC easily through Vaultoro. JM Bullion is another reputed service through which you can buy gold with BTC. And believe me, if you are in the US this service is for you. JM Bullion is an online retailer of Silver & Gold. You can order 24×7 from here and always get FREE SHIPPING. Not only this you also get 100% fully insured gold/silver bullion delivered discretely to your door within the USA for BTC. Even I thought that, but that’s when I learned that JM Bullion also offers a 3% net discount on total cart value if you choose to pay with BTC. Note: This discount is also available when you choose to buy silver for gold. Step #1. 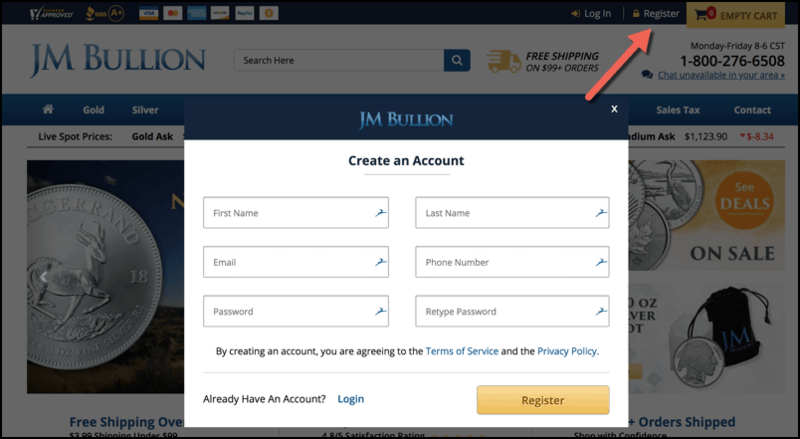 Go to JM Bullion.com and click on ‘Register’ to make an account for yourself. Step #3. 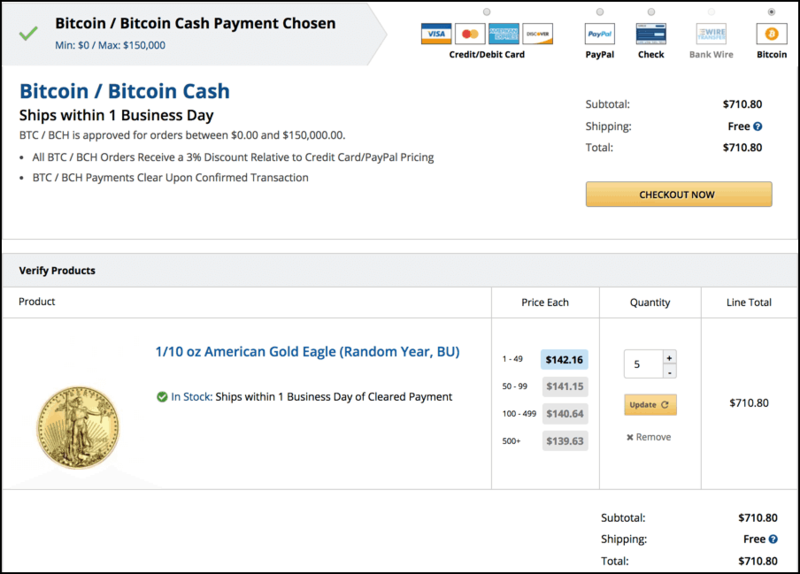 And when you ‘Add to Cart’ and click on ‘Checkout’ you will be able to see Bitcoin/Bitcoin Cash as the mode of payment. Note: This is the same way you can select silver bullion and buy silver in exchange for BTC. Both Gold and Bitcoin are investments for wealth creation, and wealth creation takes time. And I think we all agree on this. You have not yet missed the boat as elucidated by many online and there is indeed a lot of room for both these assets to grow in the future. Either way, you are winning!! Because if you are holding BTC already, this is a great way to diversify your portfolio into gold and silver directly without using cash or selling your BTC for cash and then buying gold.